Lake St. Clair Landmark Map 17″x20″ 2-Sided on Sale! "See" where you are at! Learn from 30 years of boating on Lake St. Clair with our 2-sided 17"x20" Landmark Map to help find 50+ destinations using our 80+ on shore photos and 40+ GPS coordinates. Lake St. Clair cuts, towers, landmarks, islands, shipping markers, no wake zones, fishing spots, fuel, launch ramps, bait stores, and more.... 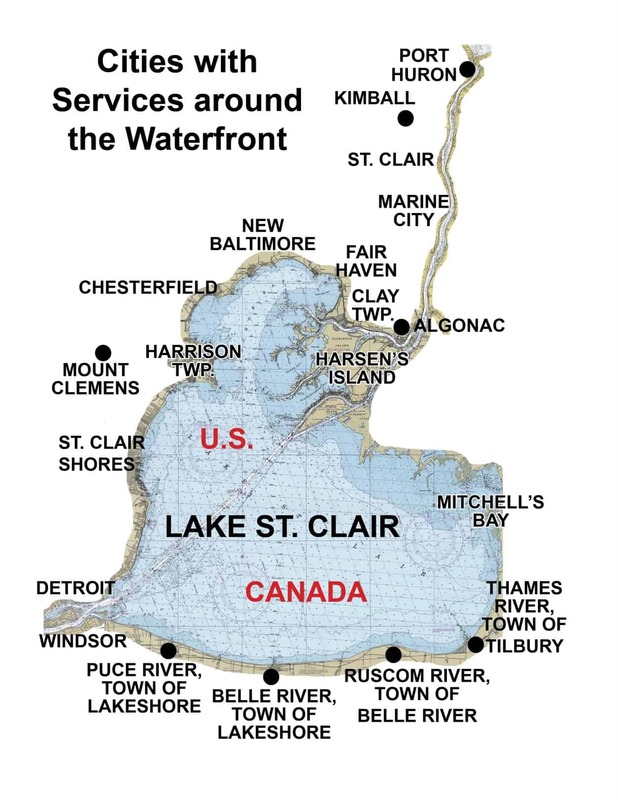 This is a non-sponsored map which includes "additional services" you may need which are not included in the free Lake St. Clair Guide. With easily 50 miles of Michigan shoreline, from the St. Clair River to the Detroit River, knowing the Lake St. Clair landmarks saves time & fuel. Lake St. Clair is a BIG lake, and once you get out there, everything starts to look the same (even the locals get lost)! Would you like to order the latest FREE! 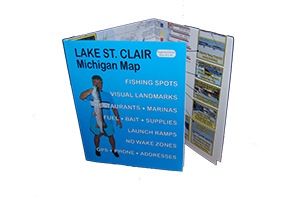 84 Page Lake St. Clair Guide Magazine to be shipped with your map? Only $3 more to cover postage! Contact Lake St. Clair Landmark Map 17″x20″ 2-Sided on Sale!